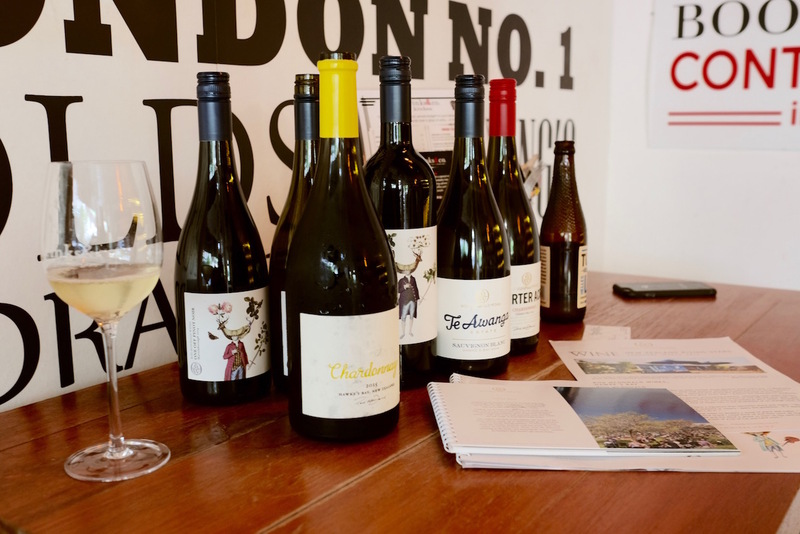 Hawke’s Bay may be New Zealand’s oldest winegrowing region, but Singapore is only beginning to explore wines from the country’s second-largest wine producing region beyond the Sauvignon Blancs from Marlborough. Mike Ferrugia of boutique Hawke’s Bay winery Rod McDonald Wines was recent in town to present some of the latest wines in its portfolio to its local distributor BrandConnect Asia, so we caught up with him for a quick chat… over some Hawke’s Bay Chardonnay, of course. Tell us what your role is at Rod McDonald Wines. [Mike Ferrugia] Rod McDonald Wines was started in 2008, and Rod McDonald is my business partner. Rod runs the vineyards and the production at the winery, and I run sales and distribution globally. We’ve been in the business together for about 5 years, and we met at a project while I was working at another winery about 8 years ago. We had a “courting period” although we didn’t really know that was what’s happening! I’m here in Singapore supporting our distributor BrandConnect Asia for our business Rod McDonald Wines. We’ve got a suite of 5 brands, which we distribute globally. Which markets are Rod McDonald Wines currently in? We’re a small, under-resourced wine business so we can’t be everywhere at once. For now we’re in Singapore, Thailand, Japan, the UK, United States, Australia and a couple of others. The three biggest markets for us are the UK, Australia and New Zealand. The United States we just started out, but it’s a key territory for us. The Southeast Asia market is important as well, and we’re working closely with the BrandConnect Asia folks for countries like Thailand, Malaysia and Vietnam, and of course here in Singapore where we’re getting terrific distribution of all our brands. Which are the wines that have been moving very well for you here in Singapore? So the key brands for us here in Singapore are the One-Offs, Te Awanga Estate and Quarter Acre. Quarter Acre is a single vineyard range, with very small volumes really built for the on-trade – you know, the white tablecloths (fine-dining restaurant business). It’s really strong in New Zealand, and we work with Marks & Spencer for this product in the UK. It’s performed really well for us here in Singapore, actually. I think we’re already onto our fourth order in 18 months, so it’s been really good. Te Awanga is our core range named after our estate, where we have our cellar door. On that site we grow Merlot, Syrah, Cabernet Sauvignon and Chardonnay. The One-Off range, that’s been a runaway success for us. This is the only time we get outside of Hawke’s Bay – the one-off model is that we find small, interesting parcels of vine from across the country to make these wines. So once it’s gone, it’s really gone. It’s also done very well here in Singapore. We also have our Trademark series, which is our premium play. This is where we do the very best that we can with our Chardonnay and Syrah. Overnight I got confirmation that the Chardonnay won Gold at the Chardonnay Masters Award in the UK. There’s no expense spared with our Trademark series – we import the bottles from France, the finish comes from Portugal. Tell us more about the One-Off series. Rod really is quite innovative. He pushes the boundaries. We’ve done one with Pinot Noir from Martinborough, a Gisborne Albarino, we’re doing another Gisborne one with Marsanne-Viognier. In fact I just presented to the BrandConnect Asia folks on a new rose we’re doing with a Pinot Noir-Pinot Gris blend, as well as our new Cabernet-Merlot. We roll out a new varietal every two months. It’s really created quite a life of its own. It’s really built for the blackboard business and on-trade; it’s gotten quite a bit of a following. What we do is every time we have a new varietal we change out the bottle livery. Usually what happens with label design is that we give a full brief of what we want, but for the one-off range we just told the designer to go do whatever she wants. She came up with that – and it’s gone on to win a global design award with that. We’re quite proud of that! Rod McDonald’s Trademark Chardonnay 2015 recently won a Gold Medal at The Chardonnay Masters 2016 by The Drinks Business. Give us an idea of what Hawke’s Bay is as a wine region in terms of wine production in New Zealand. Hawke’s Bay represents about 10-percent of the plantings in New Zealand; Marlborough stands at about 77-percent. It’s about 4,700 hectares under vine in Hawke’s Bay, and 80% of red wine produced in New Zealand is produced in Hawke’s Bay. Climatically, it’s quite similar to Bordeaux. We’re really strong with Cabernet Sauvignon and Merlot, and Syrah, and depending on who you talk to, it’s either Hawkes Bay or Gisborne for Chardonnay. Those are the varietals for which we are most renown. We as a business (at Rod McDonald), we run and manage four vineyards across Hawke’s Bay. In addition we also work with some European varieties like Viognier, Sangiovese and Gewurtztraminer. Share a little with us about the Te Awanga Estate itself. As I said earlier, we have four different veinyards around Hawke’s Bay. One of them is Maraekakaho, and on that site we grow all the cool climate varietals. Then on the site called Bridge Pa we source our very best Syrah. Syrah and Chardonnay is what we hang our heads off on – that’s what we think we do as well as anyone. Then we have a special hillside vineyard where we make our super-premium Trademark Syrah, and then at Te Awanga Estate. One of the neatest things about Te Awanga is that it’s on the beach. It is located on the coast at Hawkes Bay, it’s about halfway down on New Zealand’s North Island on the east coast. It’s New Zealand’s oldest wine growing region, and we’ve been growing grapes there since 1851. It’s a sleepy, Bohemian kind of society and has got a really lovely coastal feel about it. The coastal influence – the sea breeze – gives us a lovely long growing season with very cool nights which really lend themselves to a slow-ripening process. That’s when Rod does his thing, such as knowing when to let the grapes hang out a little bit longer. That comes with experience. Which has been your best vintages so far? Mother Nature is a fickle beast. In 2013 we had the vintage of the century. 1998 was the vintage everyone referred to as the best vintage ever, until 2013 came along. 2014 was terrific, and 2015 was very good as well. 2011 and 2012 were tough, but Rod seems to know how to get the very best of what we’ve got. Climatically its an interesting region but the guys there they get it and they know how to manage it. New Zealand wine became popular because of Sauvignon Blanc from Marlborough. Now it’s Pinot Noir from Central Otago, and people are increasingly exploring wines from other regions as well. What are your thoughts about such market changes? Marlborough has been great for New Zealand – there’s no doubt about it. There are some wonderful blue chip brands from Marlborough that have helped paved the way for New Zealand wine and, in more recent times, Central Otago has gotten a bit of a following. Hawke’s Bay is New Zealand’s oldest wine growing region, I guess what we provide is to fill out the New Zealand portfolio with our Chardonnays and Bordeaux-style reds. I think the timing has been really good in terms of our business; what’s been neat for us is that people – like the guys here at BrandConnect Asia – have connected with what we’re doing. We’re Hawkes Bay and we’re immensely proud of that. We believe that our story – you know, two guys having a go – delivering something that is not Marlborough Sauvignon Blanc, is one that people seem to like and enjoy. Chardonnays in New Zealand is going through a little bit of a resurgence as well, which helps. Share with us something about your business partner and friend Rod McDonald you wouldn’t dare say in front of him. Rod’s got 25 years of winemaking experience. I wouldn’t say this if Rod was here, but he would be recognised as one of the top five winemakers in New Zealand without a doubt. He is a genius and I think he’s very exacting, very precise and doesn’t take take any shortcuts. What’s in the bottle is a pure reflection of what we’re trying to do. It sounds a bit cliche, but he has monumental respect for the vineyards; he has great reverence for Mother Nature. These Pinot Noir grapes hail from the Te Muna Valley in Martinborough, and the 2014 vintage saw a splendid summer with warm harvest period that produced uniform berry and bunch sizes with even ripeness. During the vinification process some whole bunches were left in to extract more tannins, followed by cold soaking for additional colour extraction and complexity. After fermentation kicked in the wine was rested on skin for another two weeks before being run off for maturing in French barriques. 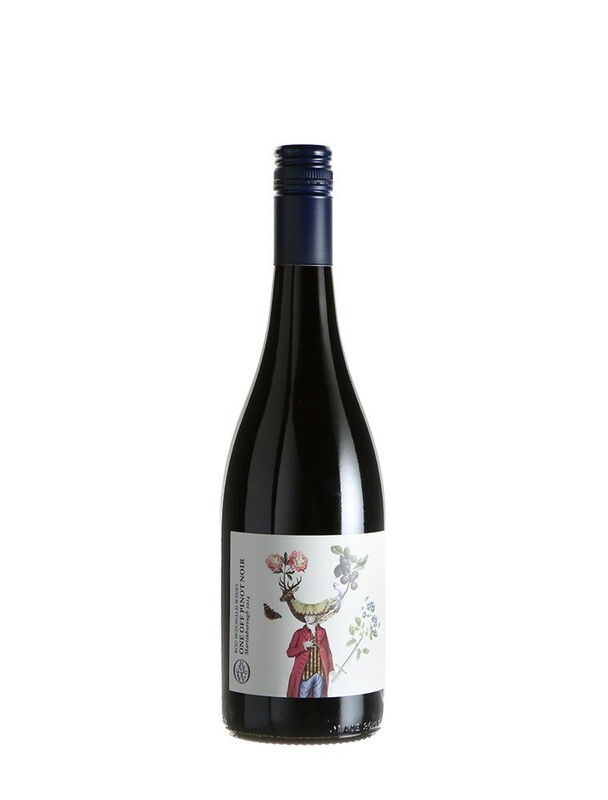 Tobacco, violet and subtle earth characters on the nose, with vibrant dark red and plum flavours on the palate. The tannins are firm but melting and provide structure to this engaging wine.